The Alannah & Madeline Foundation will host its inaugural Buddy Run, at Alexandra Gardens in Melbourne on Sunday October 21, 2018. The one kilometre anti-bullying fun run is an all-inclusive event and the day will also include exciting activities and entertainment for the whole family. 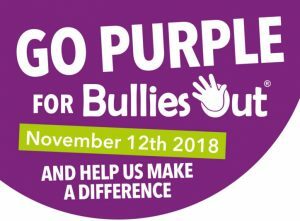 All funds raised will help the Alannah & Madeline Foundation keep children safe from bullying and cyber bullying. When Amy “Dolly” Everett, 14, ended her life in January after relentless bullying online and in the schoolyard, news of the tragedy hit home for families across the country. “We’re not different from any other family out there … we could’ve been anyone; Dolly could’ve been anyone,” she said. The Northern Territory cattle farmers vowed to honour Dolly’s memory by spreading a simple message: kindness matters. Ten months on, the Dolly’s Dream foundation has been inundated with support. “There’s plenty of days where you don’t want to get out of bed … and don’t want to think about it,” he said. “But it’s the positive feedback and support from people that makes it worth it” . The Herald Sun can reveal the foundation, backed by children’s charity The Alannah & Madeline Foundation, has surpassed $1 million in donations to help keep children safe from bullying and violence. It comes as the Alannah & Madeline Foundation launched the inaugural Buddy Run, Australia’s first anti-bullying fun run. To be held during National Children’s Week (on October 21), the 1km run will promote inclusion and respect.